The kidnapping & murder of those children (aswell as Hamas’ response to this, which wasn’t “how horrible, let’s help catch the bastards who did this”) was the final straw… Why o why is it so hard to find a fairly and balanced written story, which does NOT omit facts?!? Your decision to only see the rockets as the origin of the Palestinian/Israeli conflict is the willful omission of a half century worth of facts. The Hasbara you resort to has already been disproven by history and facts, and on all points, Israel is totally wrong. What you call “the right to self-defense” is actually defending the right to colonize stolen Palestinian land, brutalize and mass murder those who resist against illegal Israeli occupation. That’s your notion of self-defense. Nobody in the world, except for delusional Israel supporters, believe the “justifications” to slaughter innocent civilians. Believe me, I have close relatives who think exactly like you, and it’s beyond my comprehension. Morton Kurzweil, Israel kept secret the fact that the three teenage settlers in the West bank were killed (one’s phone was on to the police, 8 shots were heard and a groan) making out they invaded Gaza to find them. That ploy was blown. Also Israeli officials have quietly noted that Hamas leadership was not involved. Then Israel makes out that Hamas blew the cease fire by attacking Israeli soldiers near Rafah. The trouble is the time recorded for two tweets by Hamas Qassam show that it was over by 7 AM (last tweet was at 7:34). The Cease fire was to start at 8 AM. 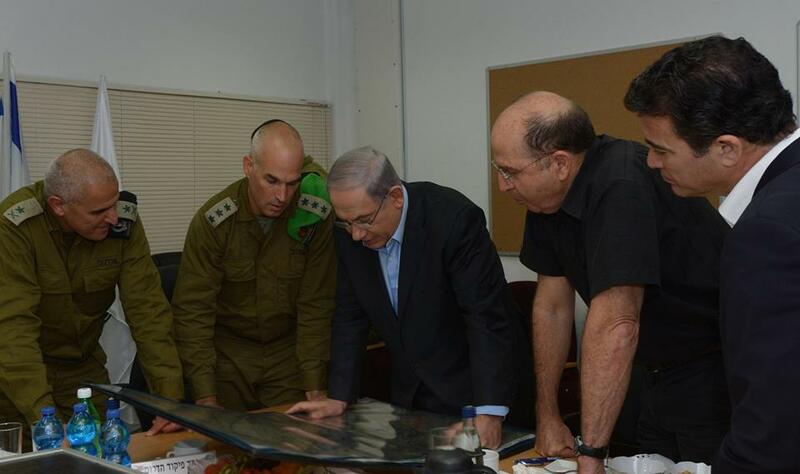 And why after the cease fire was agreed to, did Israel move its forces further in at 2 AM in the morning? Israel is trying to pull the wool over our eyes and the press is mostly in their hand. Hamas leadership had edged towards peace with Israel, they are not politically savvy and never expected to win the last Gaza election, but over time they changed and matured. The last thing Israel wants is a unified Palestinian people and will go to any lengths to divide them. They once used Hamas to undermine Arafat and the peace initiative with Rabin, and now all people there are paying the price especially Palestinians. You treat people fairly they will be fair with you. You steal their land, treat them as second class (as are Israeli Arabs too), deny them the freedoms all people deserve, disavow international law, in time you are going to pay for it. Hence the title of Alan Hart’s book series, “Zionism: The Real Enemy of the Jews.” I think you should read it. Learn to live freely and not be brainwashed by Zionist zealots. Some disallowed Jews to enter western countries when the Nazis did their wickedness, just to force the poor Jews to seek asylum in Palestine (create their dream, Greater Israel) or worse, unable to get away. I wouldn’t put my faith in them. How many people have to die for a whim? When or where does self defense require justification? Stop firing rockets into Israel. Stop building tunnels into Israel for terrorist attacks. Stop using the lives of civilians as shields for launching rockets. Stop using schools, mosques, and schools to store munitions. Stop justifying attacks as defense when the intent is to annihilate the Jewish population in every state under the control of Islamic terrorists. Stop stealing land. Stop blockading, starving and torturing. Stop discriminating, stop arbitrary detention and restriction of movement. Stop denying equal rights and political freedom. Stop committing genocide. The Nazi Project/State (1933 â€“ 1945): Terrorism; Land Confiscation; Ethnic Cleansing; Occupation; Concentration Camps; Indiscriminate Slaughter; Genocide. Zionist Project/State (1948 â€“ Ongoing): Terrorism; Land Confiscation; Ethnic Cleansing; Occupation; Concentration Camps; Indiscriminate Slaughter; Genocide. Thanks for this thoughtful analysis, so far beyond the sound-bit “analyses” flooding the mainstream media. I’ve noticed that Israel’s apologists typically don’t address points raised by their opponents, they merely repeat themselves, so there is no actual discussion. One of their frequent claims is that the Palestinians were offered a state in 1948. They don’t address the fact that the offer was a gunpoint Mafia offer. Military organizations employ a myriad of incentives and rewards to maintain enthusiasm, esprit de corps, unit cohesion and mission accomplishment. Not the least of these are award citations which may be conferred upon completion of a tour of duty for meritorious service in a particular operational endeavor, for enhancement of unit readiness and morale, for preservation and maintenance of equipment and materiel, or for implementation of improved training or tactics. Some campaigns may foster awards merely for participation based on the inherent hazards or arduous nature of the assignment. Others are conferred for specific acts of inspirational leadership, selfless service, bravery or significant disregard for personal safety in conduct of mission essential tasks. The award process is initiated with a nomination letter specifying the recommended award, the specific accomplishments or achievements, and a proposed narrative appropriate to the magnitude or prestige of the accomplishment to be rewarded. It is a formal process which must be approved by the chain of command, and in some cases, a board must convene to approve, elevate or downgrade the proposed citation. I can’t help but wonder what the citations for the campaign in Gaza might sound like? A peculiar rage or frenzy is animating the Israelis this time, borne of – in my opinion – a deep-seated frustration that the Palestinians are still there. The two-state concept is no longer tenable due to deep-seated resistance within an influential segment of Israeli society, but their dream of a Greater Israel is blocked by the simple presence of the occupied people who will not leave. The apartheid state has come into focus now, previously blurred by the assumption of an eventual negotiation of borders, and the international resistance will grow much as it did against South Africa in the 1980s. Truth and Reconciliation awaits. “Indict/impeach potus” because Obama did what here? I think what that first commenter meant by impeach potus is that Obama is responsible for Israel’s destruction of Gazans because he did not put on his superhero costume and spin the Earth backwards in time to prevent Israel’s bloody overkill. Mr Pillar is right on! Stop The Illegal And Immoral Wars!